RAPID CITY, S.D. - Pierre leads after the first day of wrestling action at the Rapid City Invitational. Pierre leads the team score with 120 points. Bismarck is sitting in second with 115, followed by Rapid City Stevens, Rapid City Central, Aberdeen Central and Sturgis sitting in sixth. Pierre, showing their strength, advanced all but four of their wrestlers to championship round matches today. Sturgis is advancing two wrestlers to the championship matches today. Bailey Brengle at 145 and Joel Carpenter at 220 are moving on. 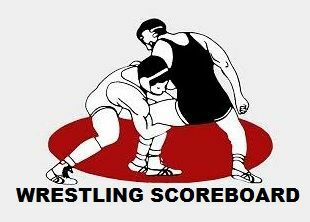 Rapid City Stevens and Bismarck advanced five wrestlers each. For Stevens, Cody BeVier, Declan Malone, Spencer Stockman, Cooper Voorhees and Dante Colicheski. Rapid City Central advanced Kolby Kost, Cael Larson, Bridger Kraye and Ty Olson.